This Caramel Crusader Honey Bush tea is a mix of hazelnut and caramel which come together to turn this Honeybush into a soft, round of taste of heaven. 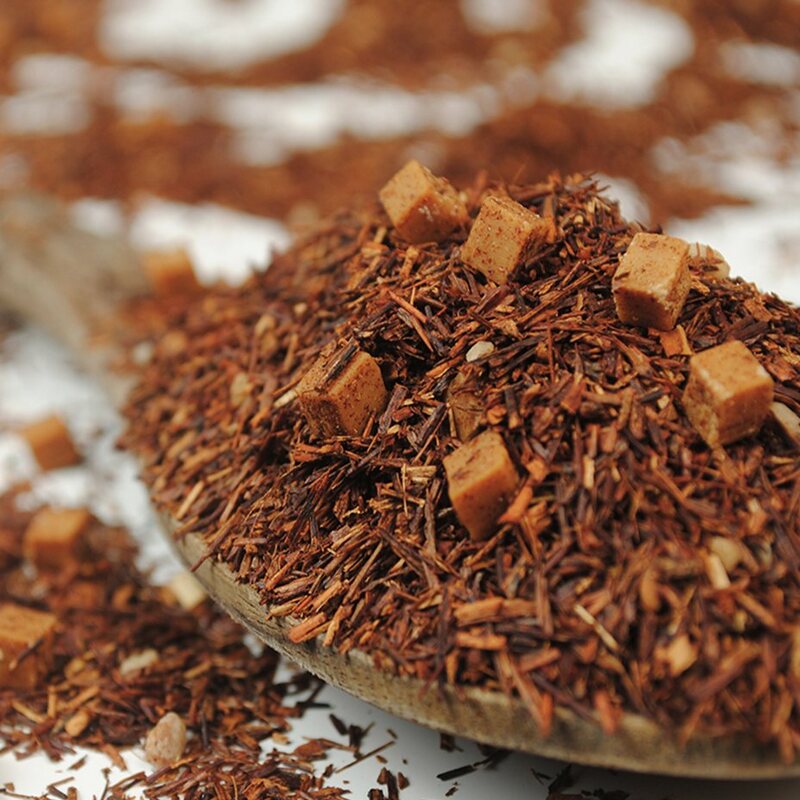 Honeybush tea is a herbal infusion and many health properties are associated with the regular consumption of the tea. It has very low tannin content and contains no caffeine. Honey bush tea is therefore especially valuable for children and patients with digestive and heart problems where stimulants and tannins should be avoided. Take a teaspoon of tea (2 for a mug) drop it into an infuser. Boil freshly drawn water then leave to cool to 100 degrees. Place the infuser into the water and infuse the leaves for up to three - five minutes, remove from the water and drink without milk. 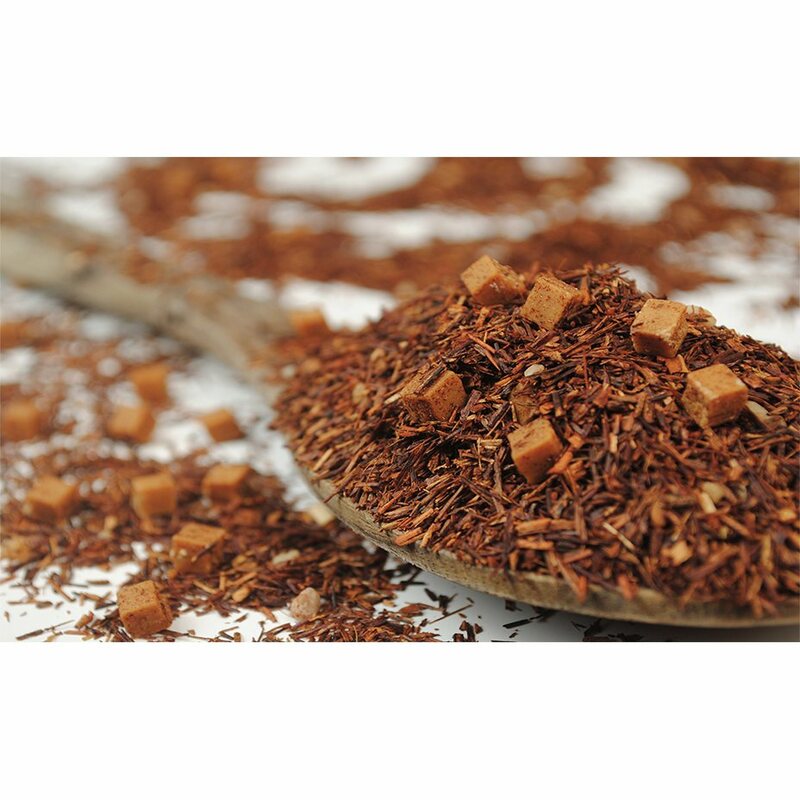 Rooibos tea, Cream Caramel Pieces (Sweetened, Skimmed Condensed Milk, Sugar, Glucose Molasses, Concentrated Butter, Wetting Agent Sorbit (E420), Emulsifying Agent (E471), Brittle Pieces (Sugar, Hazelnut Pieces, Invert Sugar), and Natural Flavouring.